Flowers are some of the most important details that make a wedding look special, bringing life, perfume and color in the room . Everything has to look festive and flowers can definitely add personality and charm to a dull space. But are there and “right” flowers for a wedding? Well, all flowers are beautiful, there is no question about that, however, they are different and you should choose them according to your personal preferences and the wedding’s theme. Mistakes can be made even in the case of such lovely things as the flowers. Read on and learn how to avoid them. Make sure that the flowers you choose as well as the way they are used in the room do not obstruct the view or make the guests stumble upon them all over the place. 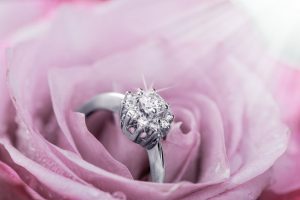 When you buy wedding flowers, you need to find a trusty and flexible Denver florist willing to listen to your needs and able to make your vision come true. Otherwise, you may end up with low quality or wilted floral arrangements that will be nothing close to breathtaking. Make sure to start looking for florist early, in order to have time to evaluate, compare quality and prices and budget your investment. A good florist is also qualified to give you some useful advice, so it is wise to remain open and flexible, even if you have set your mind on specific flowers. It is important to make yourself clear about what you like and what you dislike in different flower arrangements. Make sure that your florist knows your color options. Bring photos, as this is the best way to show the florist your preferences for floral designs. Most of the wedding flowers in Denver are not local and it takes time until they are ordered and delivered. Extra-time is then required to create the arrangements you ordered. Make sure to contact your florist several weeks before the wedding, in order to be sure that you will receive the flowers right before the big day. 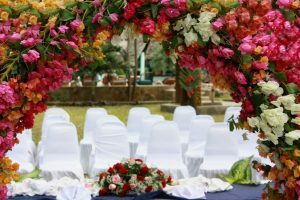 Once you received them, keep them hydrated and in adequate temperature, otherwise, some of them may not go through the ceremony. The wedding ceremony is quite short comparing to the reception, so the flowers will still be fresh by the end of it. Why not moving them to the reception room and incorporate them into the décor? This is a good way to save some money, as flower arrangements are typically very expensive, especially if we are talking about exotic and rare flowers. You can opt for one color if this is what you really want, but the effect is even more powerful if you choose two complementary colors. They will make awesome photos, that’s for sure.